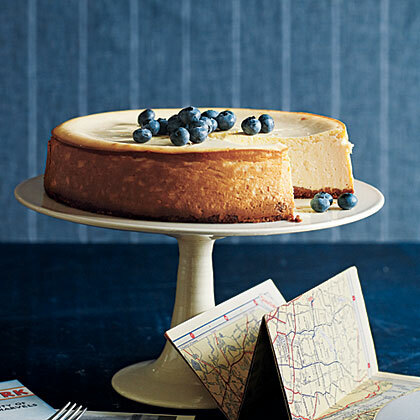 This low-fat cheesecake recipe lets you enjoy a slice of classic New York cheesecake without all the guilt. 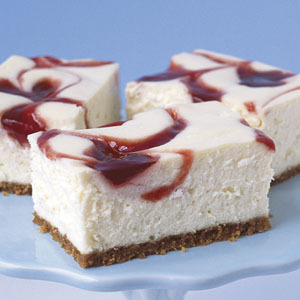 Fat-free sour cream and cottage cheese and reduced-fat cream cheese keep this dessert light, creamy, and flavorful. To keep costs down, we opted to buy thick-cut New York strips steaks and cut them in half to mimic the look of the more expensive filet mignons. 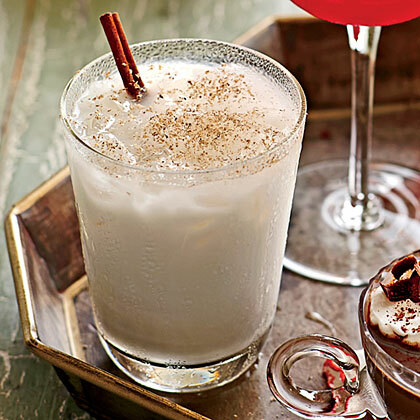 Wow your guests with this decadent, no-fail dessert. 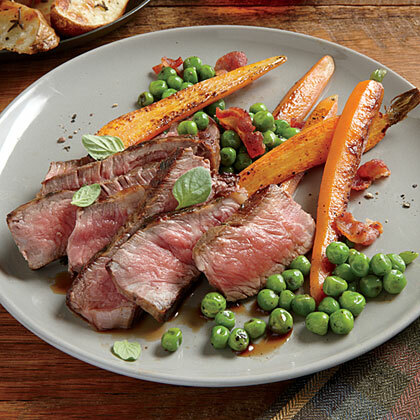 Tender and tasty is the way we describe Herb-Rubbed New York Strip with Sautéed Peas and Carrots. 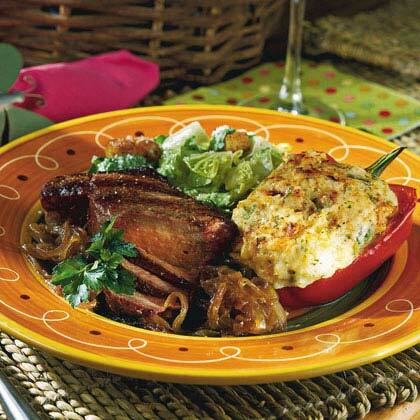 Bacon lends the peas and csrrots a hit of smoky flavor. Billy Ngo, now chef at Kru, a Japanese restaurant in Sacramento, shared this dish inspired by his previous restaurant, Red Lotus. Long, slender clamshell mushrooms have a great creamy texture, but if you can't find them, use small cremini or chanterelles. NOTES: Steaks cut from the top loin are usually called New York strip steaks. Serve with Herbed Corn Muffins and Quick Chilled Pea Soup. 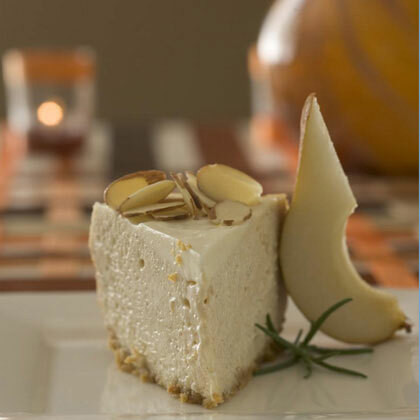 The hardest part about making this New York-Style Sour Cream-Topped Cheesecake is waiting for it to chill! Don't forget to top with strawberries before you dig into this smooth and rich dessert. Homemade pizza sauce is far superior to the jarred stuff. 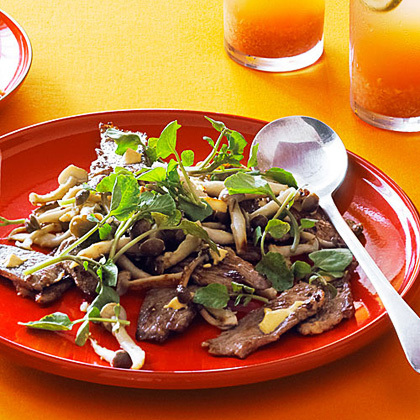 It’s fresher, far tastier, and much easier to make than you’d expect. 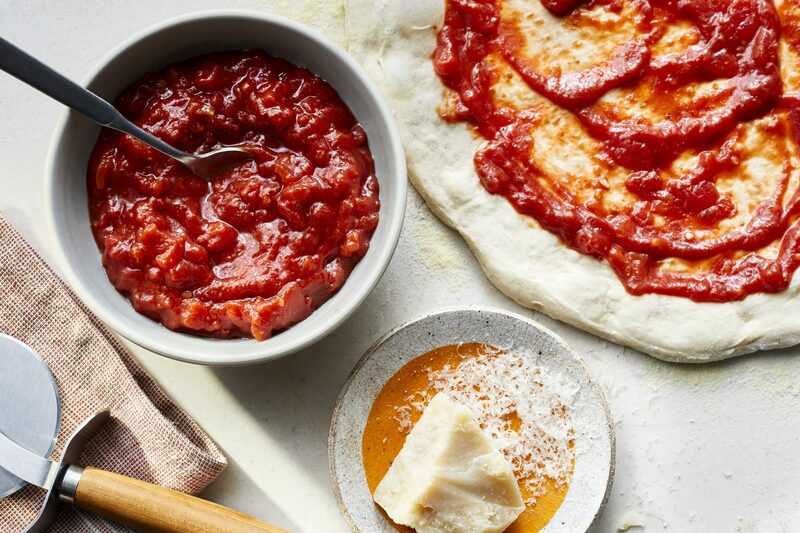 With only eight ingredients and a no-cook prep, this classic New York-style pizza sauce is truly perfect for a quick and easy dinner kind of night. 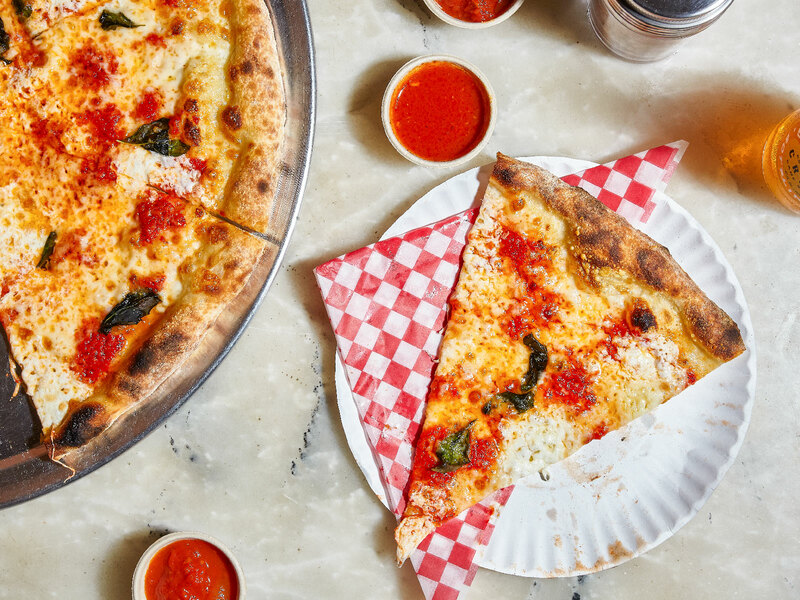 Making pizza sauce from scratch is the fastest way to bring your own kitchen to Italian bistro status. 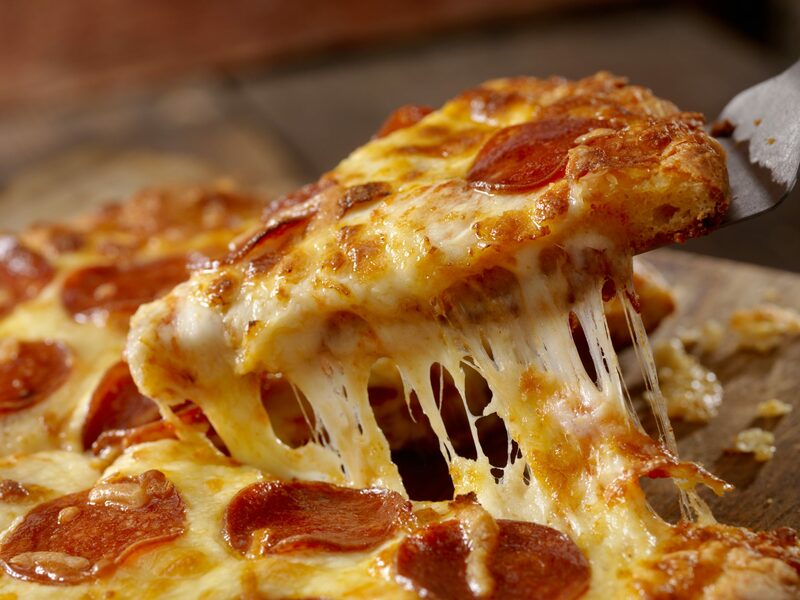 The end result is a versatile, flavorful, and perfectly chunky sauce that is perfect for any pizza, calzone, or any other Italian dish that's on the menu. 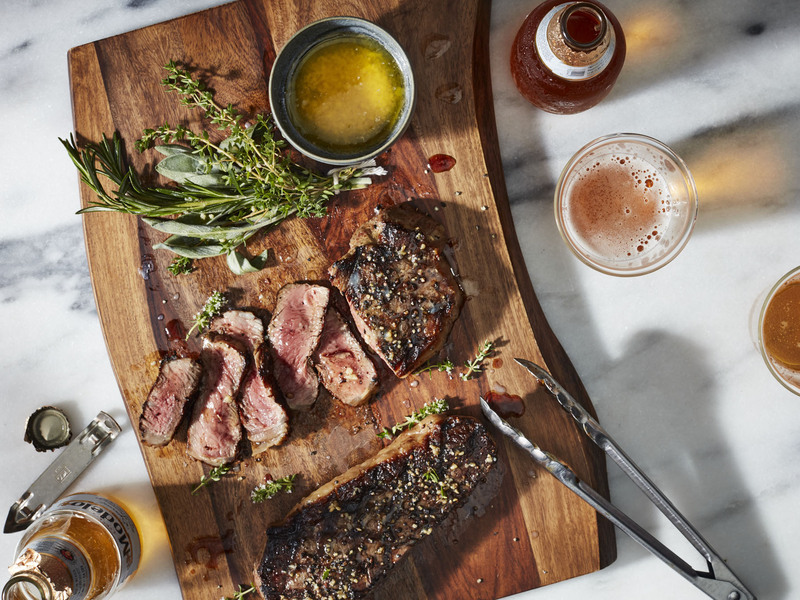 For the absolute best of a classic, everything-you-expect grilled steak experience, you simply can’t beat the New York strip steak. Remember that no matter how you’re cooking a steak, success starts at the supermarket. 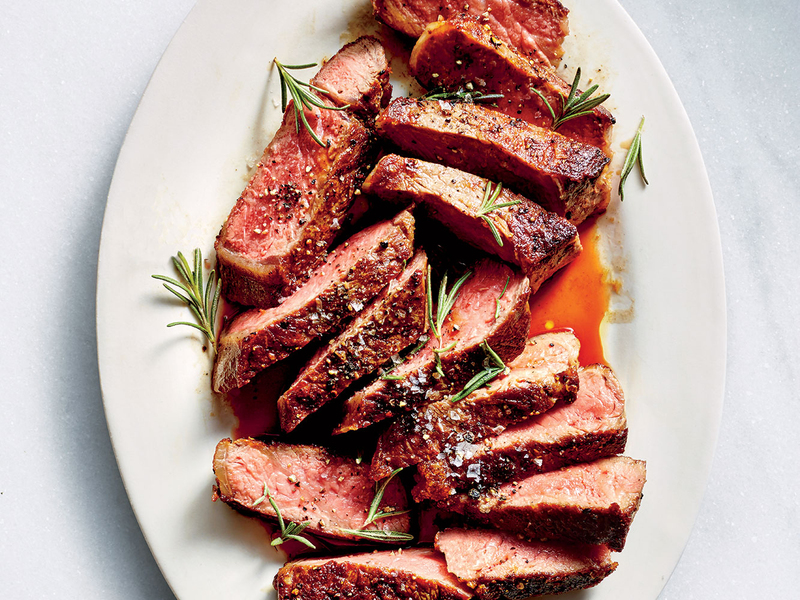 When shopping, look for steaks that have a nice, even marbling of fat throughout, avoiding those that have a thick ribbon of fat going down the center. Even if it feels like an extraneous step, don’t skip out on making the garlic butter and tying up a bundle of herbs to serve as your basting brush. Trust us, the results are more than worth the minimal time doing both will require. 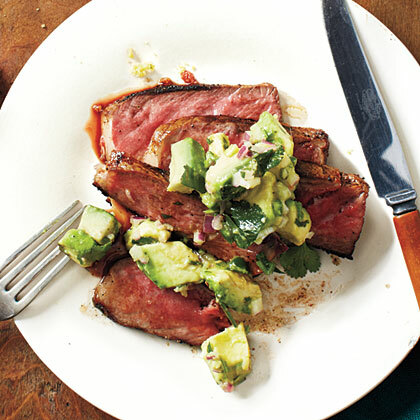 Both will boost the flavor of your steak like you wouldn't believe. 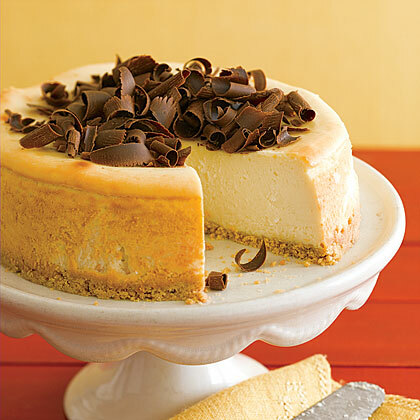 This cake has a dense texture and rich cream cheese flavor. 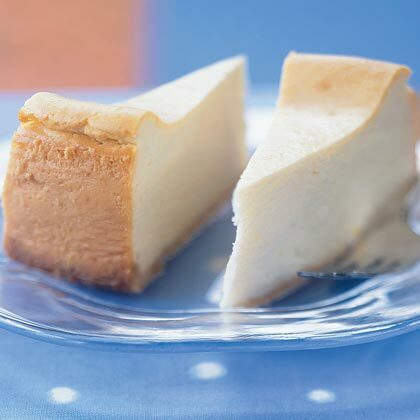 For a denser, creamier texture, cool the cake in the oven one hour with the oven door ajar instead of closed. Make a day ahead since the cooled cake needs to chill overnight. From the kitchen of Natalie Broulette, New York, New York, thesoho.blogspot.com"It's unusual to find a cold drink that gives you that sense of holiday coziness, but this one does. Grate the nutmeg fresh. It makes a difference." Cocoa powder is barely sweet, mostly bitter, and intensely earthy. For pan cooking, it's functionally appealing as well, because it has some fat, is velvety, coats things fully, and absorbs moisture like flour. 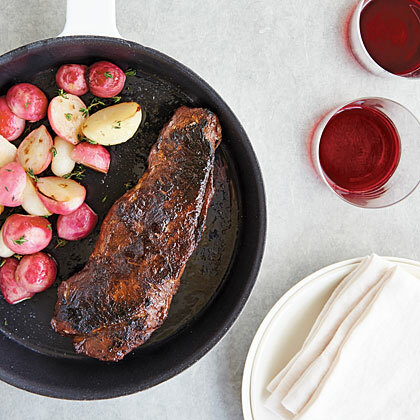 When cooked in a pan with a bit of cocoa, your steak will mimic the legendary American steakhouse crust. Buy good beef. 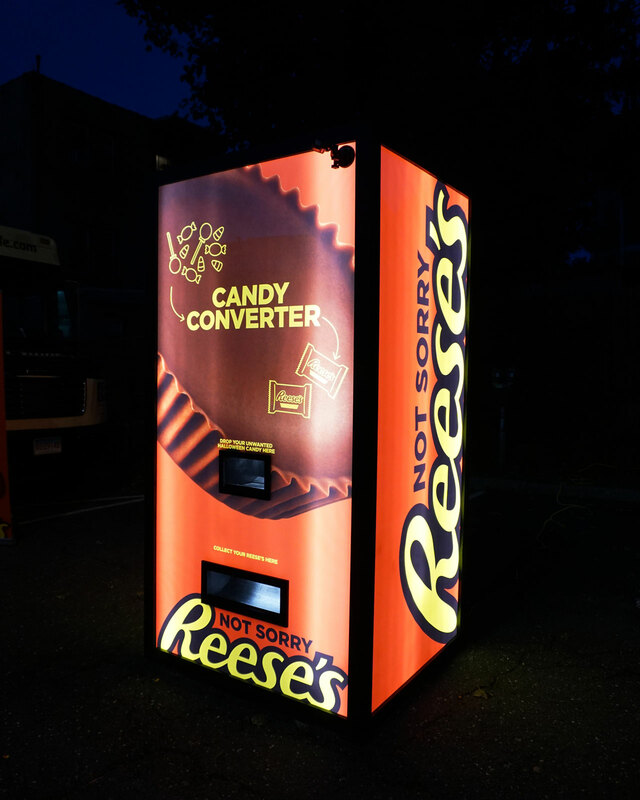 Amaze your guests. Consider serving with Pan-Roasted Radishes and some fresh watercress spritzed with lemon and sprinkled with coarse salt. To make your next steak night a success, watch over the temperature of the meat with a thermometer. This works best on steaks of 1-inch (or more) thickness; it's hard to get a good reading on anything thinner. 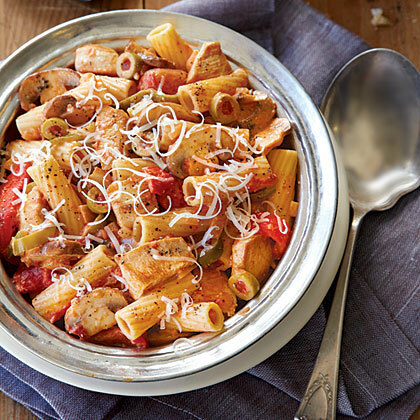 This spicy, creamy pasta dish is a regional specialty from the Utica-Rome area of New York state.